Alright. I think I have both my picks set. For the last pick of the 3rd round, my still-unnamed team would like to select Center Mike Bullard. 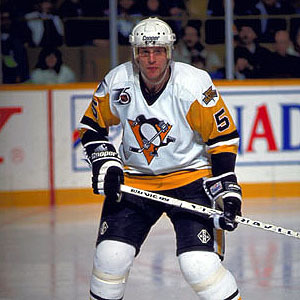 Ranked 8th in goals scored in Penguins history, he'll provide a high-scoring center to go with Jean Pronovost. 9th in team history in goals scored, 10th in points. All-around good guy. Versatile as well. Something interesting I noticed, at least I think it is, is the years that the elite d-men of this organization have played here. Murphy, Coffey, Carlyle were all great d-men and only stuck around for 4 or 5 years. Gonchar also only played here for 5 years, not saying he is in that same class but he was the no. 1 guy for those years. I guess it might be the nature of the position and that there are only 6 spots available(younger guys come in and push out older guys). It makes you wonder how much longer a guy like Letang will be here, who is ready to begin his 6th full season. the riddler wrote: Something interesting I noticed, at least I think it is, is the years that the elite d-men of this organization have played here. Murphy, Coffey, Carlyle were all great d-men and only stuck around for 4 or 5 years. Gonchar also only played here for 5 years, not saying he is in that same class but he was the no. 1 guy for those years. I guess it might be the nature of the position and that there are only 6 spots available(younger guys come in and push out older guys). It makes you wonder how much longer a guy like Letang will be here, who is ready to begin his 6th full season. Little different when you have a guy who starts his career with the team. Yes that is a good point. He assumed the no. 1 spot I guess you could argue in 2010-2011. Given franchise history he might only last 2 or 3 more years. His contract expires in two years. I don't know exactly the point I'm trying to make here, but it seems that it is rare for d-men to stick around in that no. 1 spot for longer than 4 or 5 years. There are exceptions and it probably has more to do with the individual player (how good he is, whether he wants to change cities, who is behind him in the organization). Meow swoops in with another outstanding pick. I almost drafted Recchi. It was between him and Bullard. I knew I wanted Straka regardless. Numbers game (stats and position-wise). There's a lot more serviceable wingers in Pens history than there are centers, IMO. Even knowing you are going to grab Straka, also a center, with the next pick? I have 2 good centers and can still pick up a winger close to his caliber later. Just let me do my thing. Strong down the middle is always a good strategy. Do your thing, sir. I also took into account the later years of Recchi and the locker room issues. Last edited by MRandall25 on Thu Dec 06, 2012 3:45 pm, edited 1 time in total. MRandall25 wrote: I also took into account the later years of Recchi and the locker room issues. Later years here or later years Boston? I edited it. Here, obviously. We're talking about Pens careers. Makes the Lockout thread look like sunshine and rainbows. Need a few minutes to consider my options. 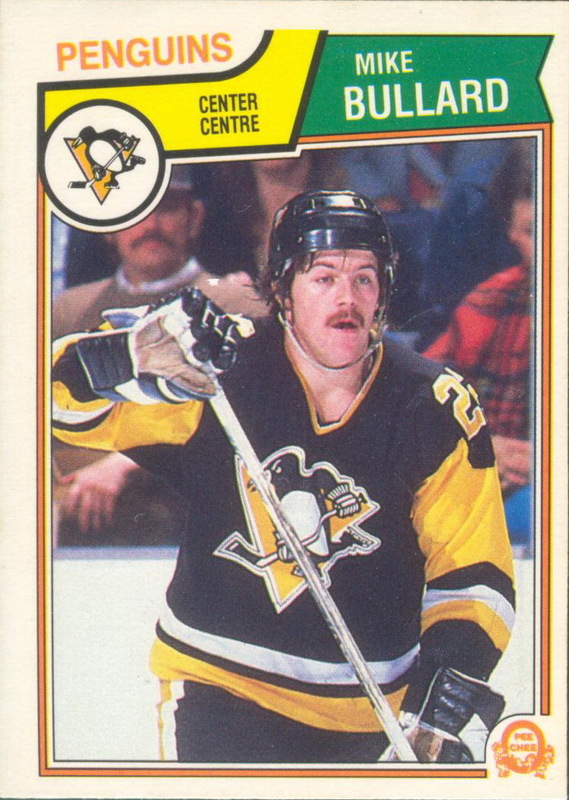 Hey, did you know Aleksey Morozov is 18th all-time for the Pens in games played? Looks like we have all the time in the world for this now. I like the Ulf pick, logged some pretty major minutes for us while he was here. High on my radar. Not the best player available I don't believe, but a premium on defensive guys exists after Murphy and Burrows were picked I think. mikey, can you put up team lineups as they're being constructed so they were easy to read. not just a sequence of who selected who.